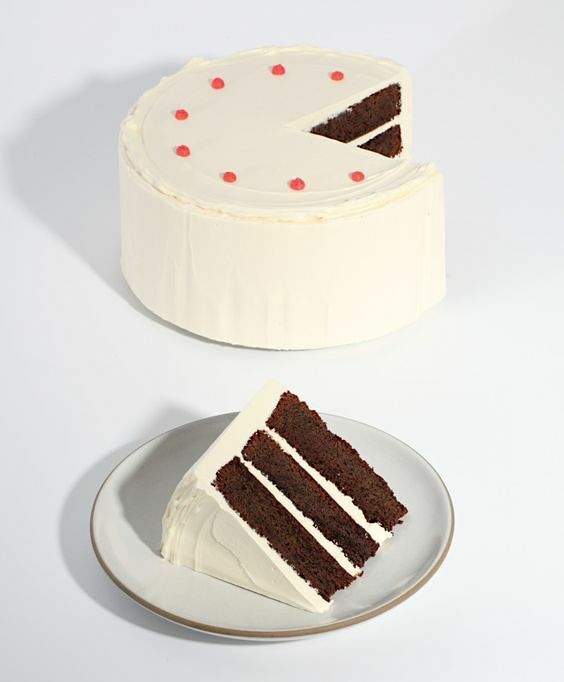 “CHOCOLATE CAKE” 1971 is a lithograph on Arches paper (SFMOMA) by American artist Wayne Thiebaud. 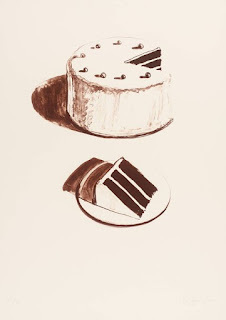 That lithograph baked into life by Caitlin Freeman. 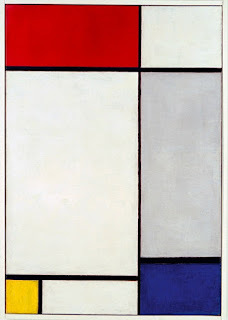 Piet Mondrian’s “COMPOSITION WITH RED, YELLOW AND BLUE”. 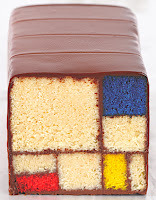 The MONDRIAN CAKE, also baked by Caitlin Freeman. 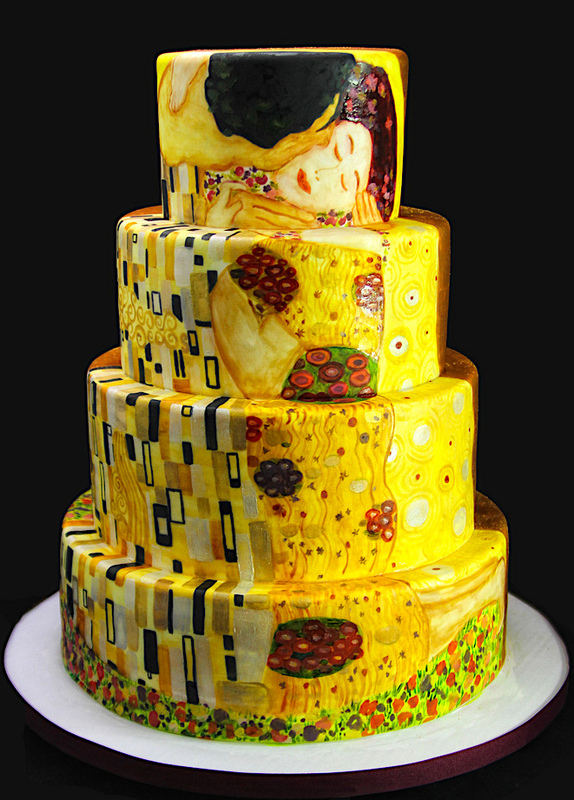 MODERN ART DESSERTS by Caitlin Freeman.